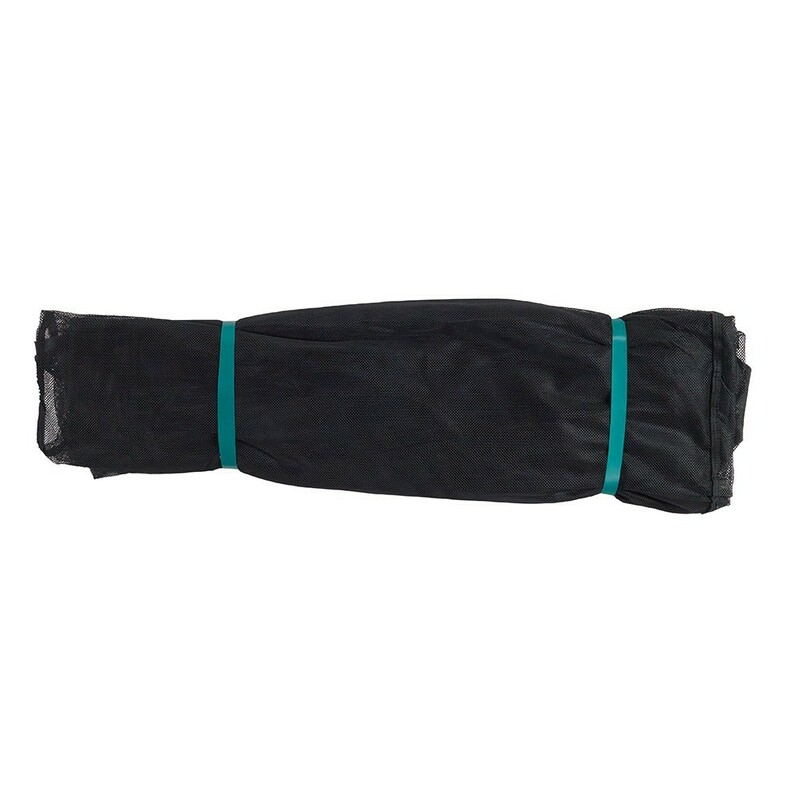 This replacement trampoline net is essential to guarantee a high-level of safety for any jumper. This net is adapted to trampolines of 3.05 m in diameter. It is fixed all the way around the trampoline which will prevent you from falling out of the jumping area. You can change the netting if it is damaged and keep the net posts if they are still in good working order. 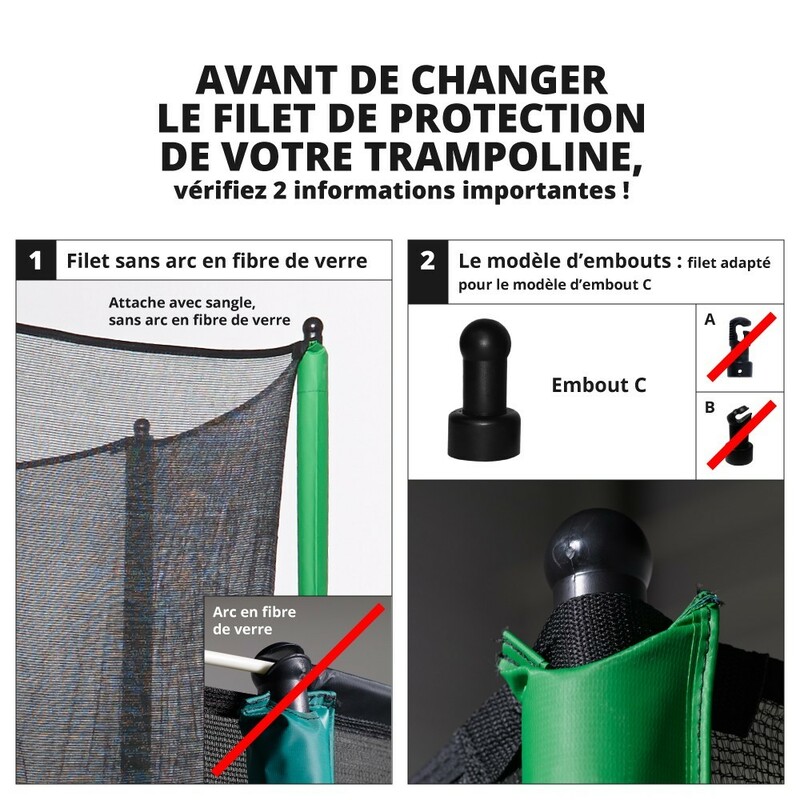 - This enclosure is adapted to our Jump'Up 300 garden trampoline, but also to any other trampoline of 3.05 m in diameter, using an enclosure with 6 net posts, even if you did not buy it at France Trampoline. It is really important to check that you have plastic caps at the top of your net posts, so that the straps sewn onto the netting can be solidly fixed to them. Measure the diameter of your net posts before ordering, they should be between 25 and 38 mm. - The netting on this enclosure is made from polyester and is very tight, not only ensuring solidity but also preventing children from getting their fingers caught. This fabric is softer then the polyethylene fabric used on most enclosures. 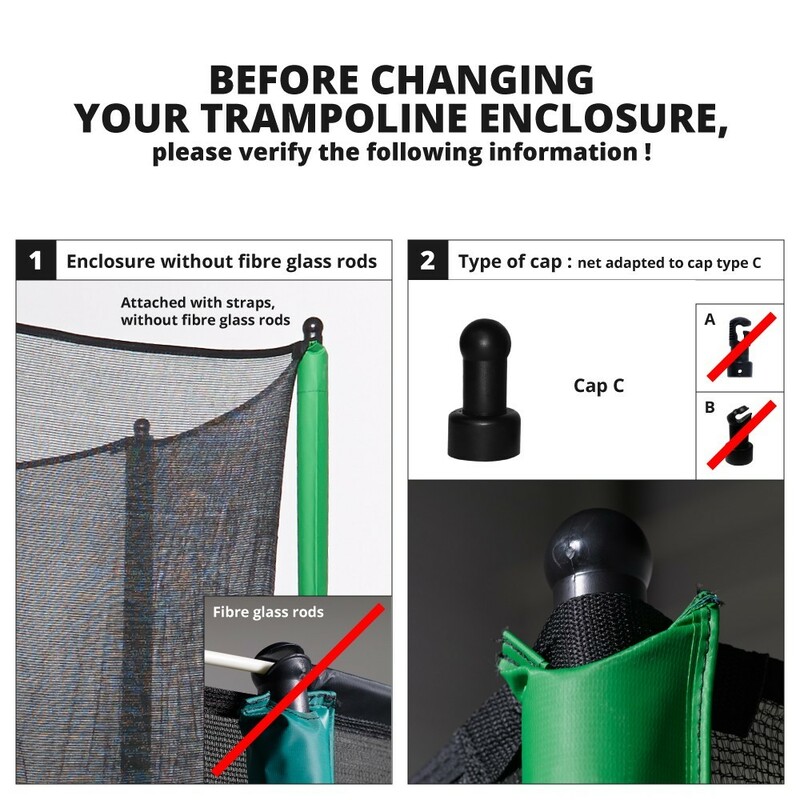 - Entry to the trampoline is ensured using an L shaped zipped door, with stitching that can be easily spotted, as it is a different colour to the netting. The lower part of the net is directly attached on the springs, going around the steel framework of the trampoline, efficiently stretching the polyester netting and rendering access between the frame pad and netting impossible. Elastic straps and clips are used to ensure the fixation of the net to the springs of the trampoline. 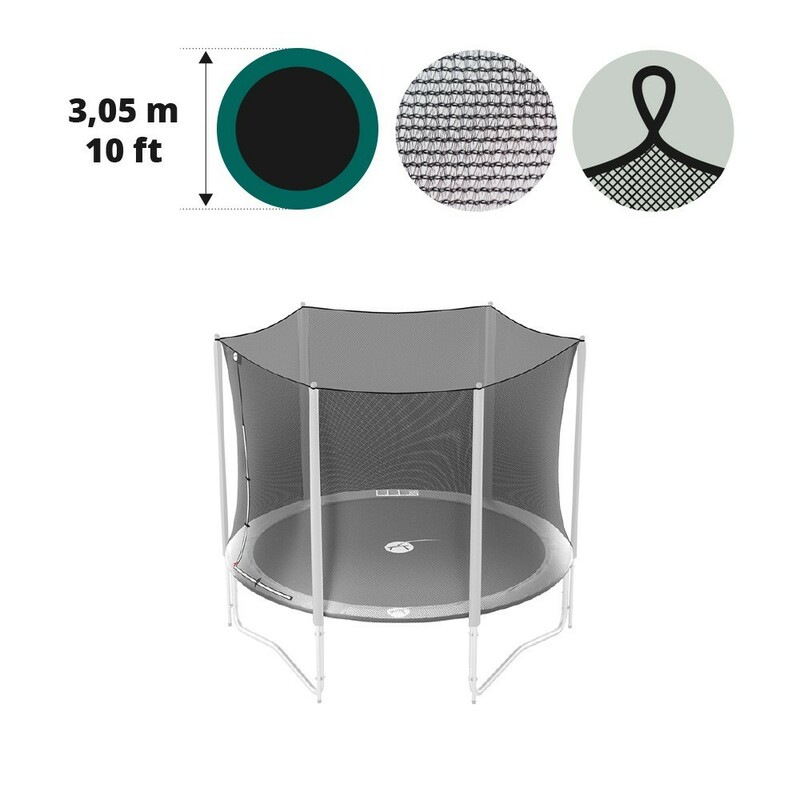 - This enclosure is adapted to trampolines with net posts of a maximum of 2.50 m in height, with a steel framework that stands at 76 cm from the ground.